Over the last few days, my footsteps - along with a couple of planes - had taken me from the dusty canyons of Nevada to the markets of the pikes. 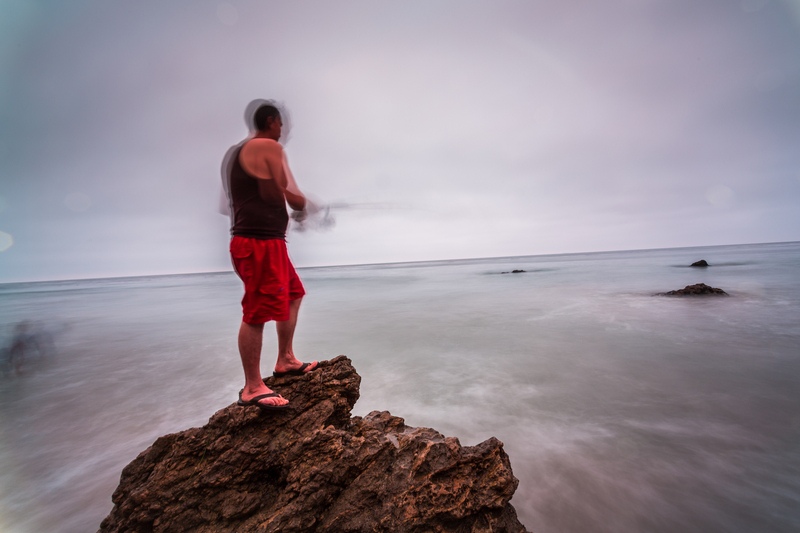 My last few footsteps in the states will take me to other places, but first allow me to tell you a couple of stories about my recent journeys - the first being the fishermen of El Matador. 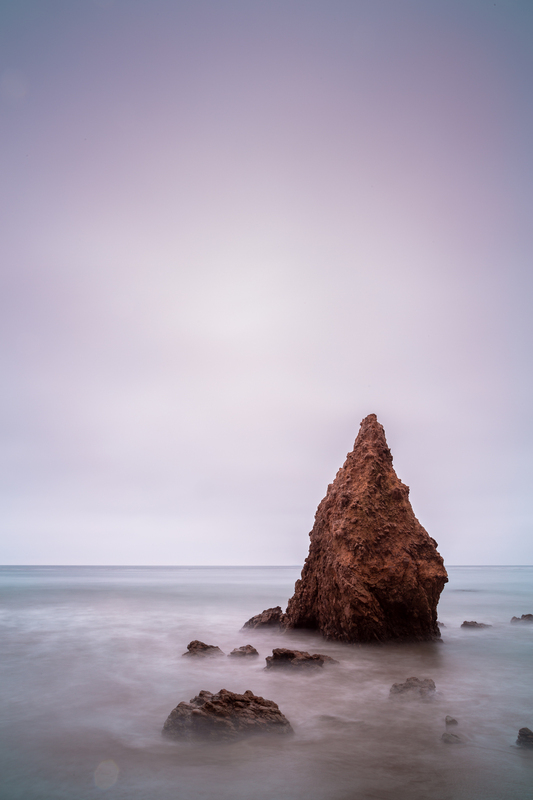 Coasted near Los Angeles is a small beach by the name of El Matador. As I got off my transport, stretched in front of me was stone steps - hundreds of them, downhill to a white sanded beach. The steps were narrow, slanted, and broken in some places; not to mention it zigzagged onto several turns. Nestled in between the steps were old wooden ladders, as creaky as a wooden ladder could be. Whilst I eased my way into each steps, a local family passed by my side and started hopping in between the steps - including the children and the elderly. The shameful slow descent to the beach rewarded me with what seemed to be one of the most memorable places I've ever seen - the beach of the matadors. The jutting horns coming out of the ocean as the waves rushed around it, the deceptively calm horizon - I could perhaps understand why it was called El Matador. 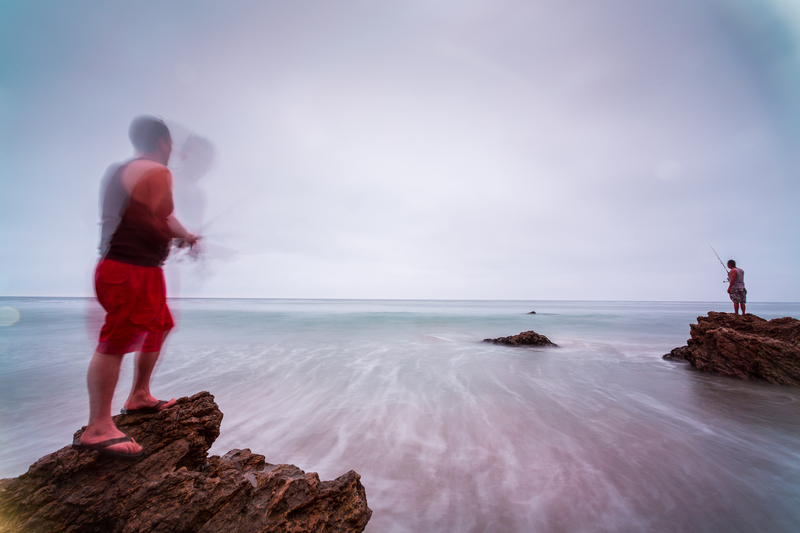 I was setting up my tripod and had started taking a couple of shots, when two men came by my sides and started flinging their fishing poles. The two of them climbed onto the coral and stood there waiting, with the current flowing around them - battling the seas. I took what may be one of my favorite pictures I had ever taken so far. Another part of the journey was the market of the pikes. 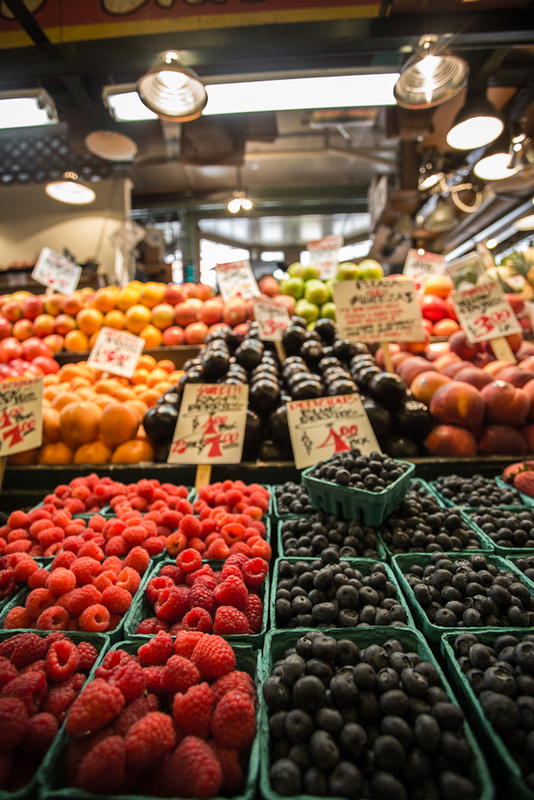 Located near the heart of Seattle, Pike's market was bustling with activities. Sellers filled up the stalls, while customers flowed like a torrential river - filling the whole market along with musicians, performers, and magicians. 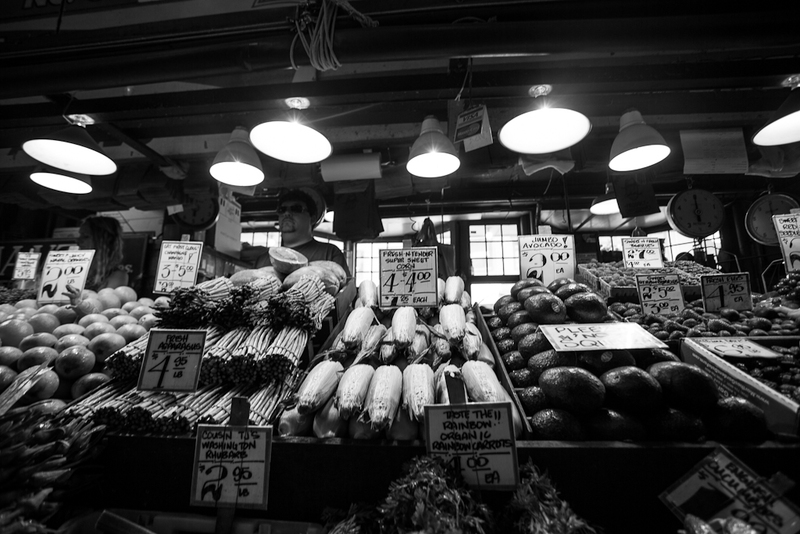 What captured me was the stalls, offering fruits, vegetables, and freshly caught seafares. 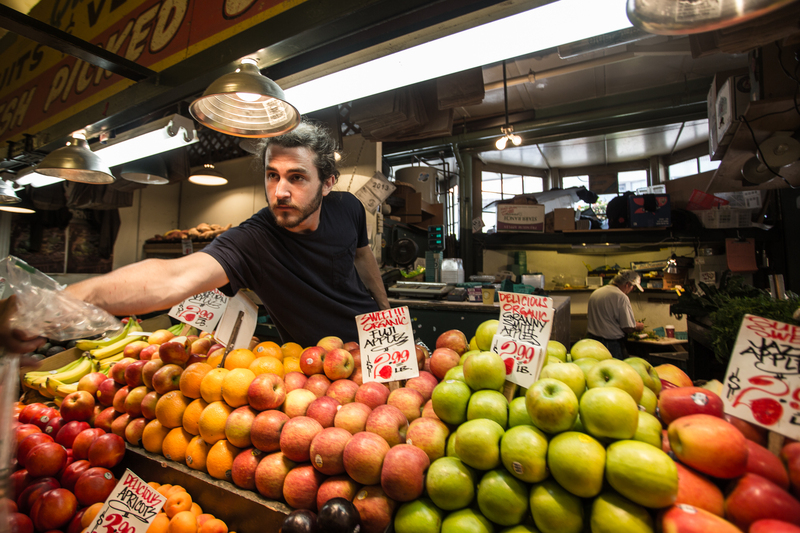 I took one of the shots while trying to purchase a case of cherries. And here I am, waiting for another flight; each one means one flight closer to home.